Rice plantation near Sukhotai. The peasants in their great majority, do not have the ground which they work. 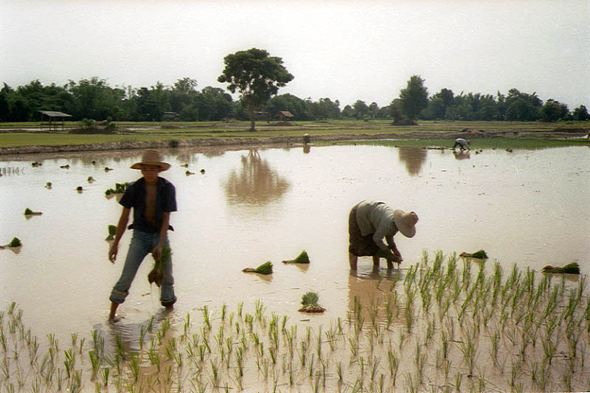 The life is organized around the cycle of rice: tilling of the fields, plantation, irrigation, planting, harvesting, drying, threshing... as many activities which mobilize the whole family. In Thailand, a peasant passes the three quarters of his life the feet in water.